When Truckee drivers need brake repair or replacement, they turn to the auto mechanics at Quality Automotive and Smog in Truckee. With a reputation for providing top-notch auto repair to families throughout Truckee and beyond, you can expect your brakes to perform when you need them when you get new brakes at our shop. Living in the mountains requires a quality braking system on every vehicle. Hills like Northwood Boulevard, Highway 267, and Donner Summit demand efficient braking. Driving in these conditions every day can actually require more attention to your brakes. Without properly working brakes, the safety of you, your passengers, and others on the road is in jeopardy. At Quality Automotive and Smog in Truckee, we take our job of keeping you and your passengers safe seriously. Whether your vehicle, brakes included, is an easy job or a more complicated diagnosis, you will always receive a thorough digital inspection. If we come across any issues, we will discuss your options with you, deciding on a course of action suitable for you, your vehicle, and your budget. At Quality Automotive and Smog, we care about our customers, which is why we continue to go that extra mile. We want you and your vehicle to be out on the roads of Truckee for a long time. Our team at Quality Automotive and Smog forges partnerships out of trust and fairness with drivers throughout Truckee, Tahoe City, North Lake Tahoe, Kings Beach, Carnelian Bay, and beyond. As Your Trusted Local Auto Care and repair shop, you can count on our technicians to service your car with a smile. 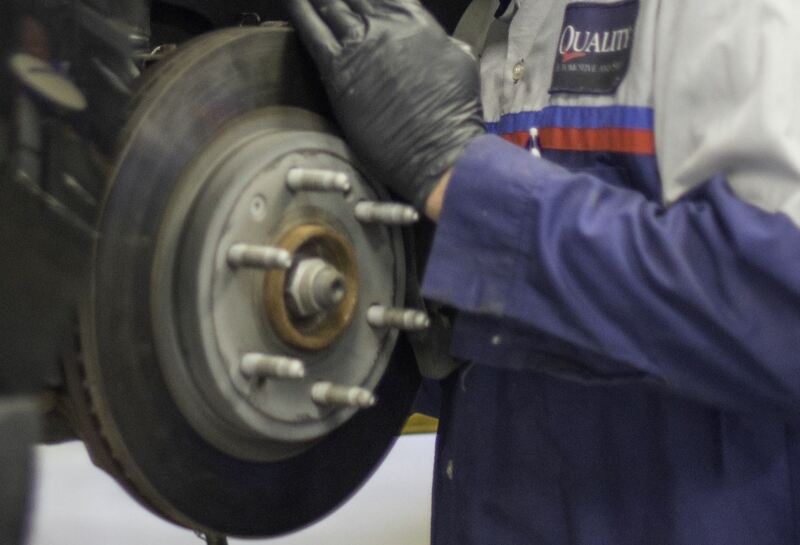 For honest and reliable brake service and repair, you can trust Quality Automotive and Smog. We are conveniently located at 11500 Donner Pass Rd, Unit D, Truckee, CA 96161. It is easy to find us and easy to find a good cup of coffee, food, or a new pair of skis/bike nearby while we work on your car. In the summer, you may consider borrowing our electric bike to tour Donner Lake while you wait. Open Monday - Friday from 8:00 AM - 5:00 PM, and closed from noon to 1 PM. Request your appointment online today!